We’ve learned that you can’t be a serious education advocate without recognizing the role that pension costs play in education funding. Lawmakers are hitting the ground running this week by tackling public pension reform to address years of “kicking the can down the road” that has led to PA’s retirement system being more than $44 billion underfunded. But what does any of this have to do with education advocacy? These numbers are not just signs of a looming fiscal crisis in PA; they are signs of a looming education crisis. 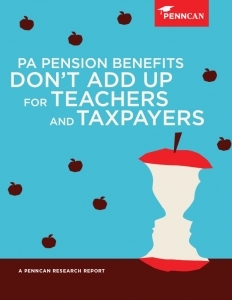 PA’s educators and other school personnel make up 260,000 active participants in the state’s public-sector pension system and their employers (school districts) are footing the bill for booming pension obligation payments with your tax dollars. On June 12, 2017, Gov. Wolf signed historic pension reform legislation into law. SB1 is the product of years of collaboration and compromise among policy-makers, labor organizations and education advocates representing both sides of the political spectrum. The enactment of SB1 will change the retirement benefits of all new state and public school employees hired in 2019 and after. New employees will have three 401(k)-style retirement options that are similar to what many private-sector businesses offer. The pension law will ensure the sustainability of PA’s public-sector retirement benefits, and shifts the investment risks away from taxpayers and onto employees in times of economic turmoil. PennCAN is pleased with the provisions in the new pension law but also recognizes that it does nothing to address the millions of dollars owed by the state and school districts to fully fund the pension system for retired and current employees. We encourage the General Assembly and the Governor to consider this burden on school districts when crafting the education budget this year and in the years to come.